So many people have raised queries about Bipolar Disorder, how one could identify it and so on, that I thought a presentation would do justice to this important topic. 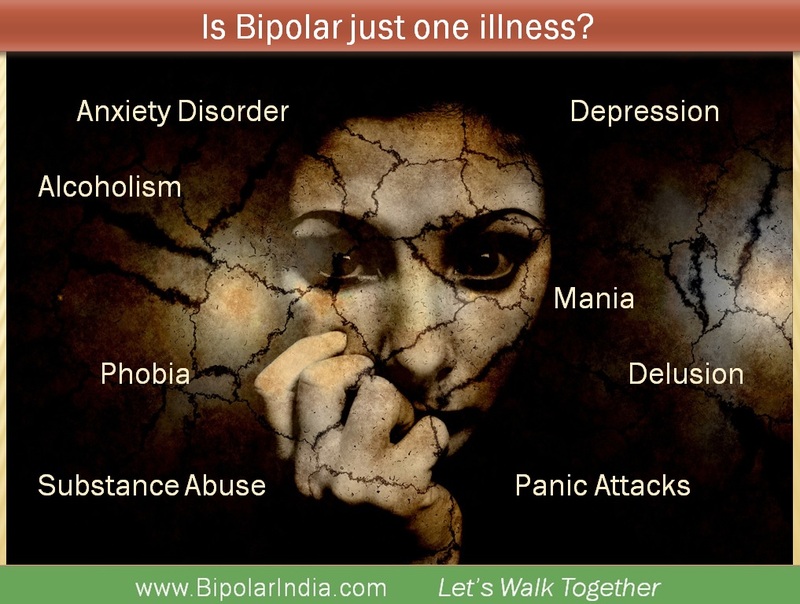 Let us remember, 15 million Indians (60 million globally) are Bipolar afflicted. The awareness about it remains dismal. Therefore, any information that we share about it sheds light on a subject people know little about. From a patient’s point of view, it is necessary for him or her to garner as much knowledge about Bipolar Disorder as possible in order to deal with the condition. Having walked the dark path for over a decade, I know how overwhelming it can become. By empowering ourselves with key information that helps us in the recovery process, we are likely to feel more confident. There’s a need to maintain a fine balance though~ between how far we go into Self research and on the other hand how much we trust our medical team to take us through. And yes, I hear skeptics and some medical professionals saying that “motivation does not work in the end only meds do”, I know how much I needed that extra ounce of motivation to believe in myself and take the next step forward in faith. What can family and care givers learn?